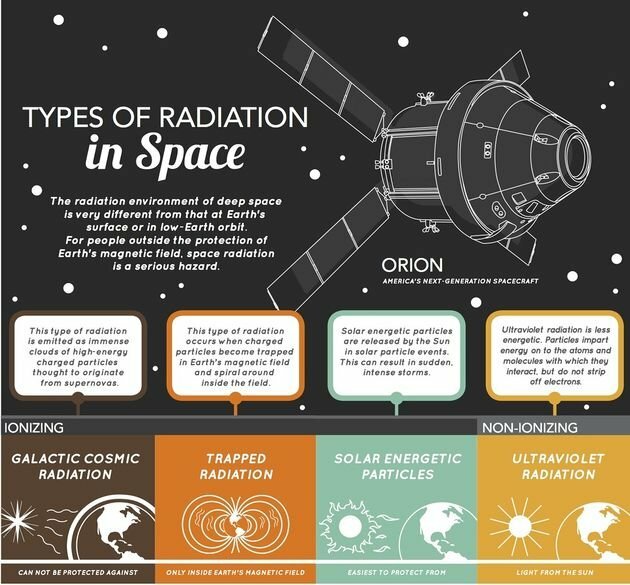 1 What is Space Radiation? Space radiation is defined as energy bundles of particles traveling at an extraordinary fast speed. These particles contain radiated waves or sub-atomic particles that transport energy to another entity or source, Cite error: Closing </ref> missing for <ref> tag. Ionizing radiations are named after their unique characteristic to ionize the particles. Ionizing radiation possesses an adequate energy to expel the electrons from atomic orbits, resulting in charged particles. The intensity of ionizing radiation is taken into account while devising a criterion for radiation protection. Ionizing radiations include protons, neutrons and gamma rays. 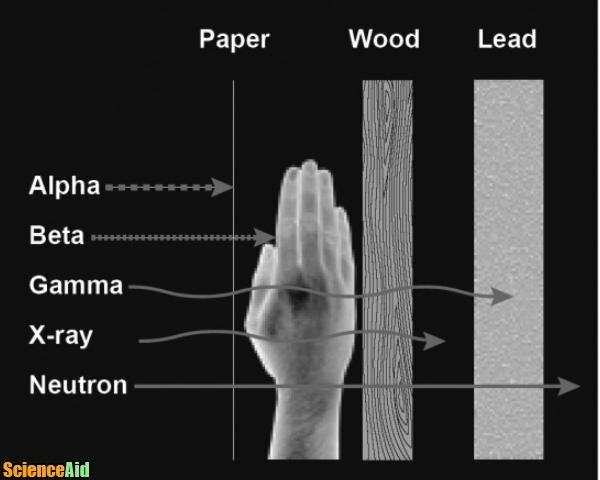 Ionizing radiation is unique from the ion formation that occurs in conventional chemical processes, such as the formation of table salt from sodium and chloride ions. In such cases, the electron is expelled from the outermost shell to form a positively charged particle. However, the ions produced by high energy ionizing radiation are usually unstable and highly reactive due to the ejection of electrons from both external and internal electronic shells. Ionizing radiations are classified into the following three sub-categories. Those are high energy radiations which are difficult to shield with existing space design technologies. These high energy radiations are believed to originate from exploding stars or supernovas. This is another form of ionizing radiation present in the earth's atmosphere. These radiations are trapped in the magnetic field of Earth. This kind of radiation vanishes as we leave the earth's atmosphere. Those are also an example of ionizing radiation. These particles are generated from the Sun during solar particle events. This type of radiations possess lower energy and are easier to shield astronauts with shielding materials. Non-ionizing radiation lacks sufficient energy to expel electrons from atomic shells. While addressing the issue of radiation protection in space, the electromagnetic waves or non-ionizing radiation have little significance. Non-ionizing radiation is less energetic but still harmful radiation in which particles impart energy onto the atoms and molecules with which it interacts, but does not strip off electrons. Examples of non-ionizing radiation are ultraviolet (UV) radiation, visible light, microwaves and radio waves. 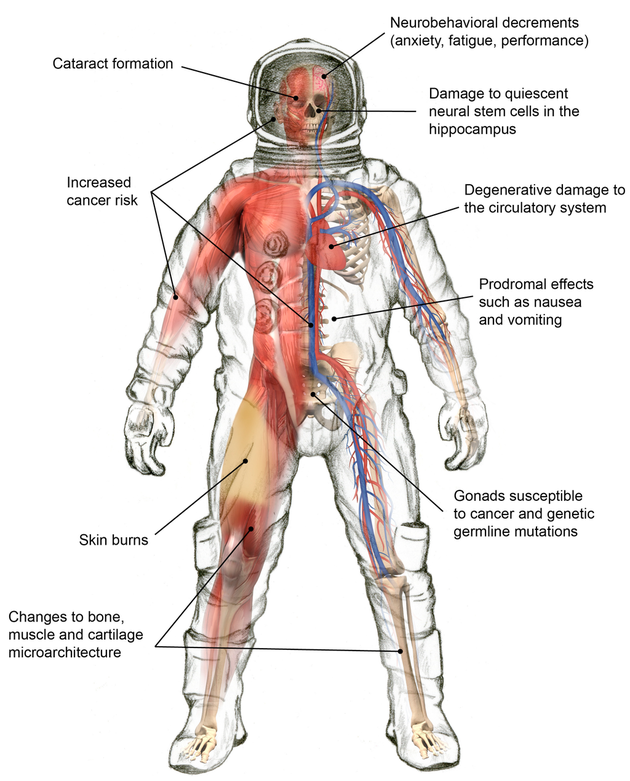 Space radiation cause both acute and chronic health problems in astronauts. Can be observed immediately after receiving a large dose of radiation in a very short span of time. Acute effects can cause fatigue, nausea, and vomiting. Are due to the accumulation of radiation dose over a longer period. Chronic effects are often disclosed years or even decades after the exposure. Following major health issues are classified as chronic health effects of radiation. Acute Radiation Syndrome. Prolonged exposure to space radiations may cause Acute Radiation Syndrome or radiation sickening in human beings. Degenerative Tissues Effect. Exposure of space radiation can seriously affect the cardiovascular system and eye-vision. Central Nervous System Hazard (CNS). Intense and prolonged radiation exposure can harm the CNS severely, resulting in neurological disorders. MLA (Modern Language Association) "Space Radiation." ScienceAid, scienceaid.net/Space_Radiation Accessed 20 Apr 2019. Chicago / Turabian ScienceAid.net. "Space Radiation." Accessed Apr 20, 2019. https://scienceaid.net/Space_Radiation. Thanks to all authors for creating a page that has been read 225 times.